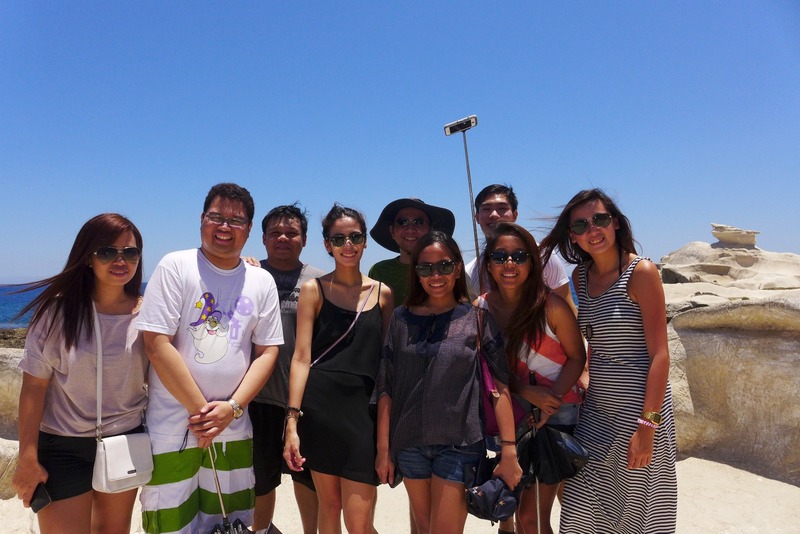 Call me and my friends crazy, but we explored Ilocos in just a weekend! The schedule was really packed, but we managed to squeeze everyone’s wishes into the itinerary. Since we were a big group, we had to rent a van for the weekend, which surely paid off given our group size, plus we saved a lot of time going from point A to point B. Here’s how you can make the most out of a weekend when in Ilocos, assuming you have a vehicle at your disposal. As always, we departed Manila on the night of a Friday. The target was to be back in Manila by the wee hours of Monday. 9:00 AM Start your tour! Cover all points north of Laoag, including Cape Bojeador and Kapurpurawan Rock Formation in Burgos, the windmills in Bangui, and the Patapat Viaduct and the Blue Lagoon in Pagudpud. Drop by Pasuquin Bakery for their famous biscocho. It’s adventure time! 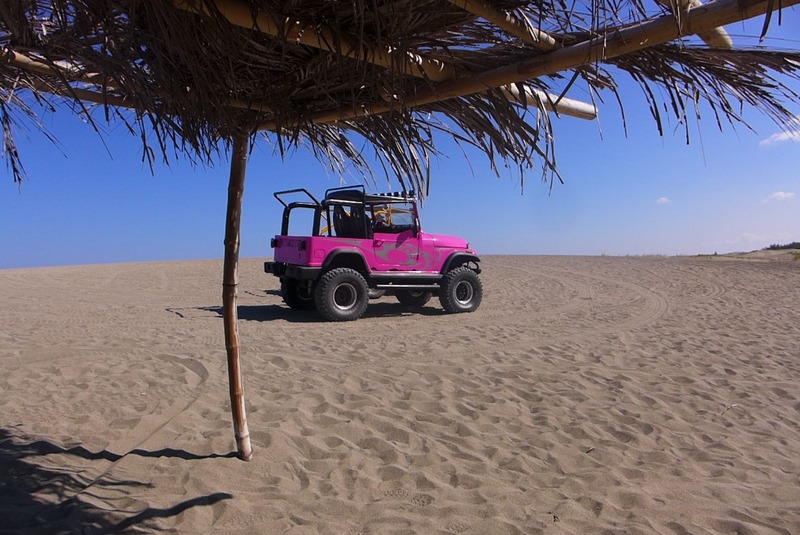 Ride the 4×4 jeep and enjoy your sandboarding activity. 10:00 AM Begin another sightseeing tour! 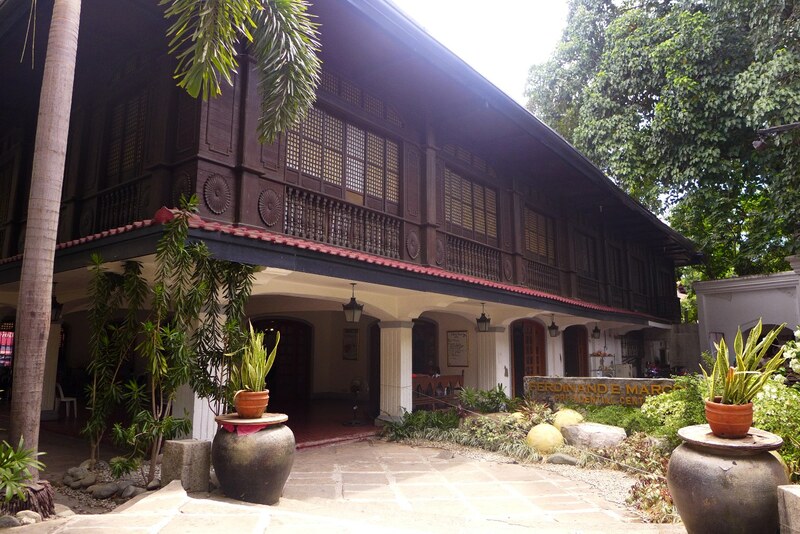 This time, see the attractions south of Laoag, such as the Malacanang of the North and the Paoay Church in Paoay, the Marcos Museum and Mausoleum in Batac and Juan Luna’s Birthplace in Badoc. Eat the famous empanada at Plaza Burgos, see a museum or two, drop by the church and take a walk at Calle Crisologo. Funny how our super deluxe bus ticket to Laoag was actually cheaper than our bus ticket from Vigan to Manila, despite covering such a longer distance. We searched the cheapest available fare and found that Maria de Leon had the cheapest tickets, with P750 on its super deluxe bus to Laoag. This bus type had wider seats and a comfort room on board. Farinas was in the middle of my ranking according to price, while Partas took the last spot. Furthermore, the Partas buses didn’t have comfort rooms on board! From Vigan, the only bus company with a reliable schedule was Partas, so we had to shell out P783 for the bus fare back to Manila. 1. Book your ticket to Laoag well in advance. We reserved ours about a week before the trip, and there were only one or two rows of seats behind us. 2. Partas has such an inefficient booking system. There are NO reservations, and they only sell the tickets of the next scheduled bus when the latest bus already departed. For instance, if the 8:30 PM bus to Manila is still there, and you want the 9:30 PM one, you’d have to wait until the 8:30 PM bus departs before you could buy some tickets. 3. In Partas’ Vigan terminal, get a number for queuing. Even if the counter doesn’t sell tickets to the bus you want, you will use this queuing number once they sell the tickets. 4. The last bus from Vigan to Manila is at 9:30 PM. Though there will be buses plying the route, they would all come from Laoag. If you’re in a big group, make sure to score the tickets on the 9:30 bus. Else, you’d be like chance passengers. The van rental was P2500 per day, but the gasoline cost us P1500 per day. An all-inclusive van rental to Pagudpud from Laoag would be P3500 a day, and so would the rental from Laoag to Vigan be. You could actually save money (if you have a group as big as ours) if you just rent a van from Manila instead of taking a bus. However, you would sacrifice a great deal of comfort knowing how limited the leg room of a van is and the length of travel. Street food is definitely cheap in the province, yet food prices in restaurants near tourist attractions soar. A meal in Kapuluan Vista Resort set us back by P500 each, while Saramsam Restaurant was much more reasonable at P300 per head. We managed to balance these expensive meals with cheap breakfasts and snacks, and a nudge to Julian who *gladly* treated us for dinner. We stayed at Hotel Del Norte, where we had air-conditioned rooms with en-suite bathrooms and hot shower. The rooms were basic, but were sufficient for our needs. While some attractions had entrance fees, all of them were under P50. However, we had to rent a cottage in Hannah’s Beach Resort for P600 and to pay for the vehicle’s parking fee of P150. Our biggest expense was the 4×4 ride in Paoay. Each jeepney costs P2500, which accommodates 4-5 people. It was surely worth the price! It might have been my most expensive trip to Ilocos (thanks to my family who make my stay there really, really easy on the pocket), but it surely was worth every centavo. Do restaurants or hotels in ilocos norte accept creditcards? U guys are not crazy. Mas crazy ako sa inyo hehehe why? 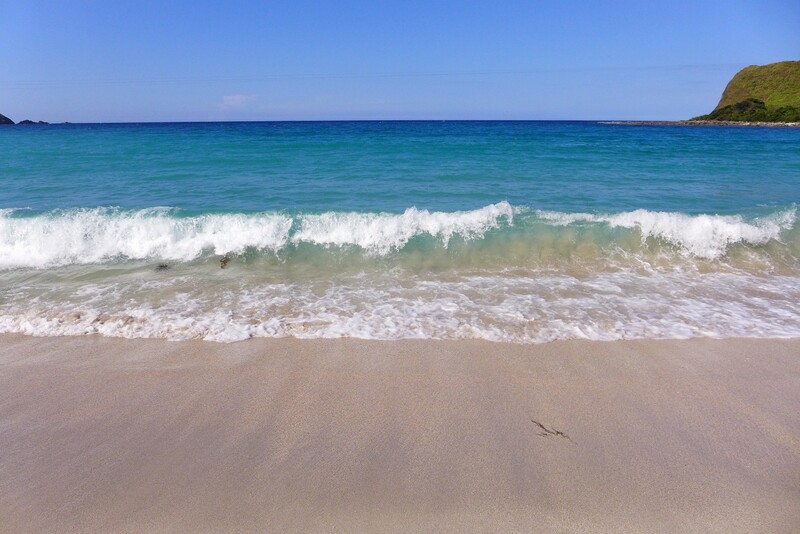 April of 2013, I went to Ilocos Norte para mab unwind. Umalis ako ng 1am ng Monday at dumating ako ng Laoag ng around 10am. Then I looked for a place I can leave my things, nun nakahanap na ako I decided to eat ng lunch then after nag start na ako mag tour. 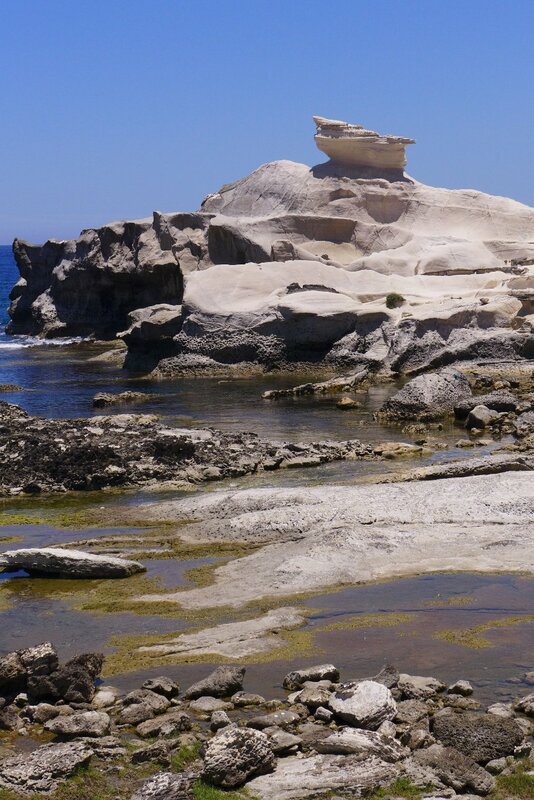 Yes, pinuntahan ko lahat ng pwede kong puntahan na tourist places ng Ilocos Norte. Then around 6pm I decided to go back to Laoag. And at 3am of Tuesday ay umalis na ako ng Laoag back to Manila. I short mas napagod ako sa biyahe ko hehehe but that was my best solo trip ever un biglaan kasi super bored ako that time. ? Good for you vhonne! 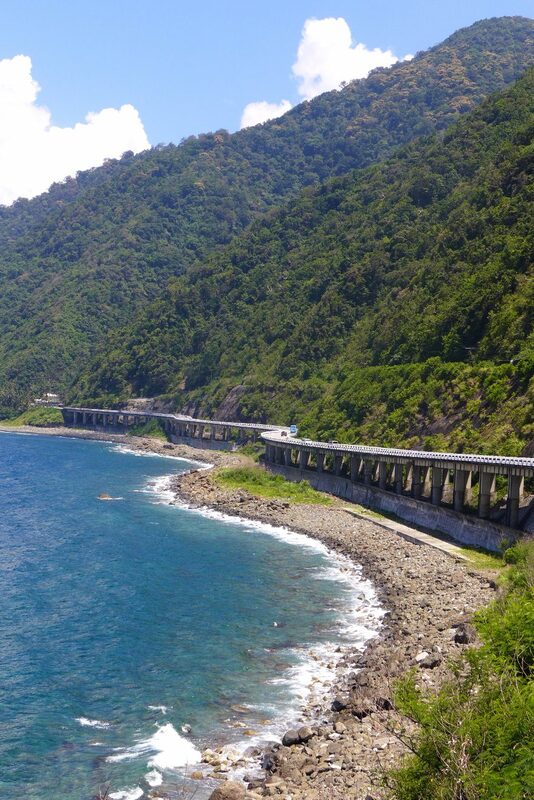 Getting to Ilocos and going around the attractions are the more difficult aspects of travel to Ilocos. Otherwise, it’s a really beautiful place. (I’m biased kasi both parents ko from Ilocos.) Lucky for us now, may SCTEX na and TPLEX — they really cut the travel time.